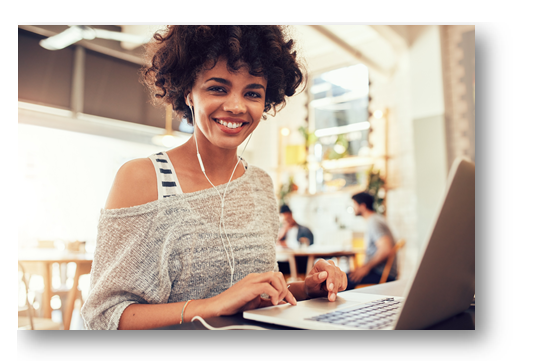 In addition to classroom continuing education, Gold Coast makes it easy to complete your required 14 hours of continuing education online. This convenient and affordable option takes the frustration out of renewing your license. Upon submitting your answers and achieving a passing score you will receive a pass slip and certificate of completion for your records. Our staff handles all the necessary reporting of your education to the state at no additional charge. 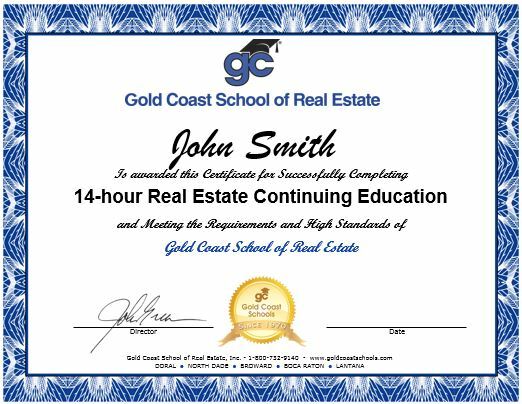 Gold Coast Schools has been helping students renew their real estate licenses since 1970. We look forward to doing the same for you. According to FREC rule, Sales Associates and Brokers must complete 14 hours of continuing education and pay a state renewal fee every two years following their first renewal. If you have any questions about completing this course, please contact our helpful Career Counselors at 1-800-732-9140. We are happy to assist. You may also verify your license status and renewal deadline with the state by visiting www.MyFloridaLicense.com . You have unlimited attempts to complete this course by passing the 30 question exam. Most students pass on their first attempt, but if you are not successful, you will receive immediate access to the alternate exams following each failed attempt at no additional charge. If you have any questions throughout the course, we are standing by to help with both technical and instructor support.